Am I ready to make the decision to retire? Do I have enough income to live on? How much money can I safely take out of my savings each month? What effect does inflation have on my income? Do I start my pension right away when I retire? Do I have all of my estate documents updated and filled out correctly? Am I going to leave part of my estate to my children? Is my spouse going to be financially okay when I pass away? What happens if I or my spouse has a long term care expense? As you get nearer to retirement you start asking yourself questions like the ones listed above. We tell clients that when they retire they just entered the longest time in their life that they will be unemployed! Are you ready? Do you want to know for sure, before you resign from your job or sell your business? RELAX- WE CAN HELP! The whole point of Dynamic Retirement Income Planning is to help you decide when you can retire and have the confidence that your retirement years will be as enjoyable as you always dreamed about! We will help you answer these questions so the stress of making this decision will be eliminated and replaced with joy. DON'T WAIT! Many clients tell us that building their retirement plan was one of the most impactful events they have experienced and wished they would have done it sooner. We invite all potential clients to have a 1 hour complimentary meeting with one of our advisers to learn about our process for Dynamic Retirement Income Planning and answer any questions they may have. We follow the six step Certified Financial Planning process recommended by the Board of Certified Financial Planners®. Your Financial Advisor will explain the services they will provide and define each of your responsibilities. You and your Advisor will talk about your current financial situation and gather any necessary documents. Together, you will define your personal financial goals, including timeframes. Your Advisor will take all your finances into account and determine how to meet your goals. Their analysis may cover your assets, liabilities, cash flow, current insurance coverage, investments, and tax strategies. Next, your Advisor will go over their financial recommendations, explaining the rationale so you can make informed decisions. They will address your questions and concerns and revise their recommendations if necessary. You and your Advisor will need to agree on how the recommendations will be carried out. Your Advisor may carry out the recommendations them self or serve as your coach, coordinating the process with you and other professionals, like attorneys or stockbrokers. As you work towards your goals, you and your Advisor will need to decide who will monitor your progress to make sure you are staying on track. If the planner is in charge, they will check in from time to time, reviewing your situation and making any necessary adjustments to their recommendations. Dynamic Retirement Income Planning is a stand-alone service we provide to our clients. It is not required that you transfer your investments to our firm in order for us to develop a written plan for you. Should you decide to ask us about our investment management services we would then explain how the firm builds and manages the portfolios that match the recommendations in your plan, and how your portfolio results link directly to your plan so we have a daily update on your plan status. If a decision is made to proceed with creating a plan then the client can typically expect three meetings to be scheduled with each meeting to last approximately one and a half to two hours. The first meeting we ask the client to bring in all of their Social Security Statements, pension plan reports, tax, loan, investment, insurance, and estate documents. We will make copies at our office a return the originals to them before they leave the first meeting. During this meeting the adviser will emphasis the income and budgeting aspects of the pre-retiree's life. Does the client know how much they spend each month? Do they know what expenses will be eliminated at retirement and which new expenses will be added? The adviser will ask the clients to discuss their goals including any desired legacy or gifting plans. Next, the adviser will conduct a document review. This is to make sure we have a complete understanding of the client's current financial life. The second meeting is when the adviser gives the client their first look at how close they are to attaining their monthly income goal. Many times there is a gap between the client's resources and their goals. During this meeting the advisor will show several alternatives on how you can prioritize your income and expense needs so you will be confident that you will meet your goals when you decide to retire. This process is also very valuable for people that have already retired, and is a process we complete every year for our clients to make sure they have enough income for all of their retirement years. This is YOUR plan and it is our job to help you succeed. 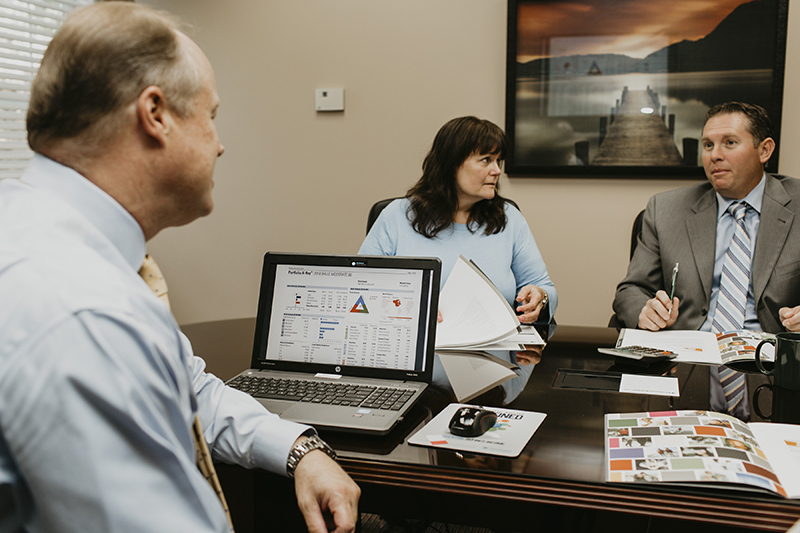 By the end of this meeting the goal is to make sure the adviser has accounted for all of the client's resources and documents correctly in the plan and the client has reached a decision on their income and living expense goals for their initial Retirement Income Plan. The final meeting is when the adviser delivers the Income Retirement Plan to the client. The adviser will review the plan with the client again and then discuss the recommendations and action steps. The action steps are included so the client has a checklist of 'to-do' items to make sure the plan is implemented as intended. At this point many firms send the client on their way and leave it up to them to follow the plan. Not us. In addition to the action steps we will schedule the client for annual follow up meetings. During these meetings the client's goals, resources and documents will be updated to insure the client is still on track with their plan. 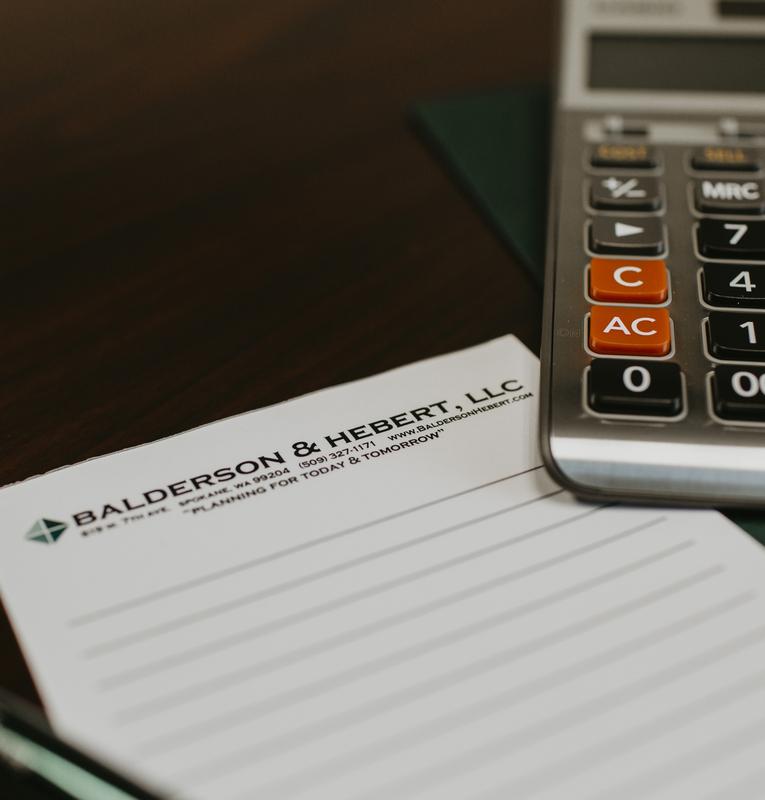 It is during these annual updates that we make adjustments if the client's income or expense goals have changed to keep them on track with their plan. Clients find that after the first few years of reviews they are able to refine their income and living expenses and feel confident in their financial future.